I can’t sleep and I’m just thinking, of all things, about fairy tales. Yes, fairy tales. Why do we love them? Why do I love them? Why did I write my own version of one . . . twice? 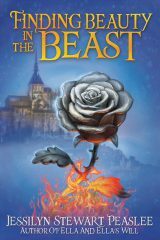 What is it about fairy tales that makes them timeless? I’m no expert, but I’m just gonna throw this out there. I think the answer lies in the Happily Ever After part. Not just that there is a Happily Ever After, but that after all the struggles and pain and misunderstandings, there can still be a Happily Ever After. But what is a Happily Ever After? Do any of us really live our own fairy tales? According to the magical version of fairy tales, I would guess that very few of us do. I mean, I don’t think any of my friends get help from birds and forest creatures to get the housework done. (And, if they truly call themselves friends, I would hope they’d share. Or else.) Also, most romances I’ve seen take more than a day or two to develop and become something real. Sometimes they even know each other’s names before they get married. Totally unromantic, I know. Now I’m not saying that fairy tales are bad. I honestly think every childhood (and adulthood) should be filled with them. But I also think as we grow a little older, it may be wise, and even necessary, to change our definition of what fairy tales and Happily Ever Afters are, just a little bit. Otherwise, we’ll be running around searching for our proverbial fairy godmother, or even just an exceeding helpful mouse, and be sorely disappointed. Sorely, my friends. A professor I had told a story I’ll never forget. He and his wife were on their honeymoon when they had their very first fight. It wasn’t pretty. There were tears and hurt feelings, finished off with a healthy dose of the silent treatment. When they started speaking again, they sat on the edge of the bed and cried. Why? Because they thought they had to get divorced. Surely people who loved each other and were “perfect” for each other would never fight. Right?? Well, after talking to a counselor (I’m not kidding) they realized that this was not true. Real life was a little different than the fairy tales. They were going to make it. They would choose to make it. And fifty years later, they still are. I’ve been thinking about friends and family who have lost spouses, or who don’t have a spouse and want one, who have lost children, who are on their second and even third marriages, though they never wanted life to be that way. I think about things that have happened in my own life that, by definition, disqualify me for a fairy tale. It took my husband and me a year and a half to decide to get married. Waaayy more than two days. Sometimes—and don’t tell Cinderella this—we don’t always agree. I’ll wait while you gasp. Are we doomed to live without our own fairy tale life? Our own Happily Ever After?? Is it something we just read about in books or watch in movies? I truly, sincerely, indubitably believe that if we are living the best we can—even with the mistakes and pain and plain old garbage—we are all living our own fairy tale lives. We are all working toward, and even getting little tastes of, what Happily Ever After really means. I am convinced that our own stories don’t have to be devoid of strife to be truly beautiful. Everything doesn’t have to be nicely wrapped and tied with a pretty bow to be breathtaking. It can sometimes be wrapped in a grocery bag and tied with a stretched-out rubber band. The beauty and breathtakingness is in the realness. Yes, I said breathtakingness. There is a song from “The Scarlet Pimpernel” musical that might be appropriate to throw in right about now. I’d sing it for you, but seeing as how there is a screen between us . . .
Come be the love I can hold now. Storybook love leaves me cold now. Show me the way to stop dreaming. That is the end of pretending. What Marguerite is saying is that she wants something real. That the only one perfect storybook ending is the one that is her own, that is real. And then, she starts singing in French, which pretty much makes everything extra true. So, here I am, sitting in my jammies, my feet too cold because they’re next to the vent, the dishwasher running but the sink is still full of dishes. In about an hour, one of my boys is going to sneak into my bed and somehow end up with his feet digging into my back. I can pretty much guarantee my kids will argue tomorrow and they will try their darnedest to reel me into it. The weeds I pulled this morning have already started growing back. And I will most likely drop something, like a can of green beans, on my toe. I do that. But, I will also laugh. A lot. My husband will kiss me and tell me he loves me. I will read my kids a story, and make myself sit through an episode of Power Rangers (though I will beg for Word Girl, but I will probably lose) because it means so much to them when I just sit with them. My youngest will pretend he can’t walk in the morning and say, “Will you hold me?” and have me carry him down to breakfast. I’ll kiss his soft cheek, warm from sleeping on my pillow he stole, and love it. My oldest will tease me for being shorter than he is, and I’ll pretend to be “mad”, though I love that, too. I’ll catch my boys reading, and clap when they show me the song they made up on the piano. I’ll put a Band-Aid on one little boy’s finger and cheer on another at football try-outs. I’ll go to bed and try not to think about all the things I didn’t get done, or the things I should have said and shouldn’t have said. And then, I’ll be asleep, and I’ll wish for the thousandth time that I could be just awake enough to feel sleep. I’m choosing my real-life, sticky, dirty, fun, sweaty, backbreaking, heartbreaking, nail-biting, joyful, busy, dream-come-true fairy tale every single day. And that is what makes it magical. And by the way, having our Happily Ever After doesn’t come at the end of our story. It doesn’t come when we die and we’ve done all our living. It comes when we know what we’re living for. 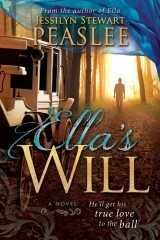 It is with shaking hands and a pounding heart that I reveal the cover for Ella’s Will. Thank you Rebecca Greenwood at Cedar Fort for reading my mind! It is absolutely perfect! Release day: September 8th, 2016!!! Do these culottes make me look nerdy? My fashion sense, or lack thereof, was developed when I was very young. There is a picture of me walking across the street when I was about four years old. I’m wearing white Sunday shoes, thick, wool burgundy tights, and topped off with a Rainbow Brite swimming suit. What else was I supposed to wear on a beautiful wintry afternoon? No, I didn’t. But thank you for asking. I felt lighter than I had in weeks. I was so grateful that someone could see that even though things were hard for me, I was still coming to school and doing my best. I held my head a little higher and smiled. But then she kept talking. But, don’t worry. This is not a sad post filled with sad, pathetic stories. Ok, one last story. I was a Junior and I sat next to a male model in math class. No joke. A male model. It was a Friday and I was wearing a sweater that I had worn on Tuesday. It was clean and there was no law against it that I knew of, so I wore it. Mike the male model looked over at me with an almost pained expression. I didn’t know if he had eaten something bad at lunch or if his dog had just died or something. He said, “You know, I try really hard not to wear the same outfit in a two-week period.” He finished it off with a pleading duck face, before duck faces were even cool. What he was trying to tell me in the gentlest, if not melodramatic/Zoolanderish way possible was that I was committing a fashion no-no. It hurt him. There were tears in his eyes. He probably said an extra prayer for me that night. When people started wearing overalls, it took me a while, but I finally gathered up my babysitting money and bought some. By the time I got them, people were only buckling one side. By the time I was able to embrace the one buckle look, everyone started wearing theirs backwards. I never could embrace that, so I was a dorky, one-buckled overall-wearer, while all the backward-overall-wearers pretended they didn’t know me. Then there was the backpack thing. If you wore them on two shoulders, you were a total nerd. But by the time I started wearing mine on one shoulder, everyone was back to two. Now, this leads me to the skinny jean movement. This may make some people mad at me, but just remember that I have NO fashion sense, so you really shouldn’t be offended. This movement has been going on for a few years now, that I have noticed. Ok, maybe like 10. I have rebelled against skinny jeans because I hate to say it, but a very slim percentage of the population looks good in them. And boys are NEVER included in that percentage. NEVER. But as people have embraced the look and more and more people wear them, “good” becomes more and more relative. Stubbornly, I have stuck with my early 2000’s boot-cuts for years, until they became almost impossible to find. After years of fighting and being completely frustrated that I could only find the jeans I liked in the grandma section at Walmart, I broke down and bought some skinny jeans. They looked just as hideous on me as I imagined. The beauty of it was that they looked like that on almost everybody, so no one knew! I preferred to wear them rolled up on the bottom because the tapering down to my ankles only amplified what they looked like…higher up. There’s just no balance! But, here we are. Skinny jeans have given way to leggings, and we all know the controversy swirling around that. Are leggings pants? Are they not pants? Obviously, I have absolutely no credibility on such matters. I will only say that as long as your bum is covered and I don’t have to walk behind you at the store and be forced to watch each side alternate with each step, I really don’t care. So, I bought my skinny jeans and even some denim leggings and dang it, they’re the most comfortable things in the world. I’m wearing them now, actually. But, I am also wearing a shirt that hangs half-way down my thighs. Bum=covered. Alas, I knew what would happen as soon as I bought my skinny jeans and leggings, and I will admit I bought them knowing this would happen, hoping I could make it happen. I opened up my Old Navy mailer and saw that they were selling culottes. That’s right. Culottes. They even called them culottes. Much like the ones my mom used to sew me when I was 7. Hallelujah! So, for all of you you have been struggling to embrace the skinny jean movement and have been wondering when it would be acceptable to wear boot cuts, or even culottes, the wait is over. All it took was for me to buy whatever was in style to have it go out of style. But, we all know what’s going to happen as soon as I start wearing what is in style. So, enjoy your culottes while you can, ladies…or men…or whoever else wears girl clothes, because I am embracing this one. Now, I’m not kidding myself. I know that skinny jeans and leggings will most likely be here to stay, but I can’t help jumping for joy that we stubby legged women can stop pretending we look good in the only pants that we can find–at least not in the grandma section at Walmart. 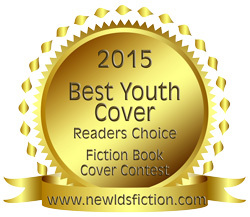 Thank you to everyone who voted for “Ella.” I am SO excited! Thank you New LDS Fiction. I may or may not be writing this because I received my first one-star review–not that I’m insecure enough to check or anything, and not that I shed a tear, or two…or thirty-eight over said review or anything as pathetic as that. OK, I read the reviews, all right?!?! Am I not human?! Do I not have moments of weakness?! I know I shouldn’t check, but I’m enough of an amateur to justify it. Thankfully, I have Taylor Swift to help me through these hard times and baby I’m just gonna shake it off, shake, shake, shake shake if off. Apparently haters gonna hate, hate, hate, hate, hate. Anyway, I also have a cold which makes me irrational, tired, and insanely stuffy which means I couldn’t sleep last night which also means I was forced to think. As I dozed–alternating between breathing out of my mouth which became painfully dry to then closing my mouth to breath out of my nose which really meant I was dying a slow, suffocating death–I pondered on the fascinating predicament I am in as a “writer.” I put that in quotes because it feels like I’m faking it whenever I say that. Fakers gonna fake, fake, fake, fake, fake. The predicament is this: I have no control over whether people like my little book or not. I knew this going in. It scared me to death that something I wrote late at night in my holey jammies could someday be held in someone’s hands I had never met before…and they could HATE it! And me! And my words! And my family! And my dog! I wanted to meet everyone who read my book and plead for their compassion. I wanted to look into their eyes to show them I was a human being with feelings and flaws and insecurities and beg them to be nice to me. Alas, that would not only be impossible, but it just might have come off as scary. Really scary. Shake it off. Shake it off. We all have our own reasons for thinking something is good or bad. I remember the first time I read “Pride and Prejudice” as a freshman in college during finals week. I threw it across the room. Seriously. I did throw it softly, though, because I was borrowing it. I simply did not have the patience for it. Just tell me the story, Jane!! Geez! I could also have hated it because I wanted something nice and easy to read between studying, but instead it made me think too much and hurt my brain and infuriated me. Anyway, I read it again about fifteen years later while I nursed my baby and watched my kids play outside. I. Loved. It. Now, I’m not saying that if only people would read my book in relaxing, beautiful surroundings they’ll fall in love with it, I’m just saying we’re all coming from different places and that effects how we feel about everything. They also could have plain old hated it, and that’s cool. It’s not Jane Austen, for heaven’s sake! I’m not a harsh critic. Maybe I’m too easily entertained or small-minded, but when I see a book, and I’m all like, “A book!” and I read it. Very rarely do I hate it enough to throw it across the room–you know, unless it’s a classic that’s loved, quoted, and renowned the whole world over. Just those ones. But other people are harsh critics and they have every right to be. That’s where they’re coming from. They may have impeccable taste, or simply be in a bad mood, or they genuinely thought the book was stupid, and they can go right ahead and feel that way. It’s just fascinating that some can love it and have it change their lives, while others hate it and throw it across the room. Heartbreakers gonna break, break, break, break, break. It’s all in the eye of the reader. And when I say ‘eye’ I mean heart, mind, circumstances, past, feelings, surroundings, joys, sorrows, likes, dislikes. I’ve always know this, it just has new meaning to me. And this isn’t just about writing and putting a book out there. Everyone has a story. Everyone has talents and hopes and dreams that the rest of the world needs to hear and see and feel. But, we may get scared and hold ourselves back because we’re worried we might fail, or that other people might not like what we created. Guess what I’m gonna say. Baby, shake it off. The following story is re-told with permission from my former 30-year-old self. I was so excited to go on a date that required that I take a shower! Woo Hoo! I even called my sister, a few days in advance even, to see how I should do my hair. And I was all, “Brilliant!” like Harry Potter. I ran to The Walmartz and found me a cute little white “bloomed rose” hair pin and threw that in my hair, which was nicely done in big, loose curls–also a tip from my sister. I even put on eyeliner, which I had totally ceased making a part of my morning routine, so I felt way fancy. I even bought new, super nice jewelry . . . also from Walmart. Grand total, including hair pin: $10. Feeling young and somewhat spit-up free: priceless. All Gary had to do, of course, was come home from work, put on a tie, and we were out the door. Five minutes later, we arrived at the high school and all of a sudden, I felt like a stupid, ridiculous old lady. I looked around at all the “kids” and realized I was no less than twelve years older than any of them and I almost puked. I had gone from feeling all young, wearing something I had worn in high school, to feeling like Josie Grosie. Well, I sucked it up while Gary laughed at me for being a dork, once again, and we went in and sat down.We had a lovely dinner (catered by Sizzler–niiiice.) which was followed by dancing. Now, I only go to these dancey things so I can see how good Gary is at it. Unfortunately, I have to look from very close up because he always asks me! But, I gotta say, we to’ (I’m not sure how to spell that version of “toe”) up that dance floor. Sure, Gare Bear and I have like 50 years’ experience on those younguns, but shoot! It was so fun! During the few dances I refused to dance to, such as samba and rhumba–because my hips just don’t do that–I noticed the high school boys asking ladies to dance who had come alone to support some student they knew. . . or gave birth to. . . whatever the case may be. I was SO glad I was sitting with Gary and no one would ask me because I obviously wasn’t alone. Right? From lich-ra-lee across the room, this guy made eye contact with me and headed my way. I mean, he had some serious purpose in his step. You could even say he marched. I felt a thrill of panic and dread and had terrible flashbacks of high school dances where you knew what was about to happen and there was nothing you could do about it, and running away was just plain rude. So, I subtly inched closer to Gary, who was indeed sitting right next to me, talking to me and everything, when J.T. asked me to dance. I said, “Yes,” and hopped up because that’s what you do and realized with even more dread that it was a Triple Swing. I had been to enough swing dances in my day, (you know, dances I would have gone to when this guy was, like, negative two) to know exactly how this was going to go. All I could see in my mind was me doing a lot of awkward twirls and twists accompanied by dizziness while I looked like a total, out of control spazz. Please don’t do the candlestick. Please don’t do the candlestick. I watched him closely as I went from being a potential date for ice cream at Arctic (pronounced “Artic”) Circle after the dance, to being a complete waste of his time–a complete, old waste of his time. After a few seconds, he replied, “Oh. . . Interesting.” And I laughed out loud. Right out loud. I knew exactly what “thirty” sounded like to him because it used to sound the same to me. But, if “50 is the new 30,” then I’m like 10. . . which actually doesn’t help things. Soon, J.T. started looking at me like he was holding a baby that needed a diaper change. You know the look. Kind of grossed out, but there’s nowhere to put it, turning your head this way and that, trying to escape. Sorry, sonny. You asked me. J.T. and I continued with our very awkward dance, where I was flung about like a rag doll–an old, brittle rag doll–and where I kept apologizing for things I wasn’t doing wrong, and I just missed Gary the whole time. Finally, mercifully, the dance ended and I could give my poor, old knees a much-needed rest while I sipped on my prune juice out of a straw. J.T. walked me to my table and hurried away. Poor kid. Not long, my friends. Not long. I had been at BYU for two whole years, and I still didn’t know what to major in. Which is actually a lie. I had known what I wanted to major in since my senior year in high school when I fell in love with Shakespeare and Greek tragedies and also Subway ham and cheese sandwiches that my friend would buy me as we studied for the AP test, but that’s another story for another day. But, when I got to college, I felt like I needed to do the dumb college thing and “explore” and waste time and money searching for my major I already knew I was going to major in. I considered Psychology, History, French, Humanities, and, of course, English. I also toyed around with ASL, but I figured that my man-hands would be too much of a distraction. I even dabbled in Dance, but my feet couldn’t keep up with my head, and my head couldn’t keep up with my feet and it wasn’t pretty. Not pretty at all. My sister talked me into taking one of those career assessment tests. So, we got our mini loaf of warm bread, smothered it with honey butter from the bakery in the Wilkinson Center and headed over to the counseling office. I got all set up with the test, which was on a bubble sheet . . . no, like 50 (Five-Zero) bubble sheets. “How am I possibly supposed to know so much about myself?? Who am I?” I asked myself very existentialisty. But, I started in with my number two pencil, eager to get to know myself. One of the questions was: Do you like to work outside? “Well,” I says to myself, I says, “I don’t want to sound like some pale hermit, so I’ll say Yes.” The truth was that I hated being out when it was too hot or too cold. Hot makes me tired and cold makes me cry. I preferred working in an air-conditioned cubicle, unless it was nice outside, but they didn’t have that option. So, Yes it was. Another question was: Do you like working with people? “Well,” I said to myself, “I don’t want to sound like an anti-social weirdo, so I’ll answer yes, when I really prefer working alone.” Unless people who are in my group ACTUALLY help, but they didn’t have that option, either. So, Yes it was. So far, I didn’t sound like the wimpy, weather-sensitive, loner I sometimes felt like in college. I sounded like a friendly person who always loved to be skipping outdoors, rain or shine, always willing to do whatever it took to work with people who bugged the crap out of me. Perfect! Don’t worry. I knew what I was doing. I wanted to see what job the test would give me if I was the perfect version of myself, not necessarily myself. Blue! No, yell . . . Ahhhhhh! Finally, I was done. I turned in my test and the guy put it into the little scantron . . . scanner . . .thing, and I waited for my fate to be revealed. Would I be a doctor, a lawyer, an awkward dancer? The possibilities were endless. He handed me my results, still warm from the printer and dripping with that wet-ink smell. I eagerly looked at my top career choice–the sum of all that I was or ever hoped to be. Are you ready? Are you on the edge of your seat? Oops. You fell off. I can wait. Good? Ok. Here it is. I turned the paper over, looked at the other pages, and realized it wasn’t a joke. I looked over at the guy who wasn’t holding up a camera or anything. It was real. It was true. It was . . . hilarious. My sister and I fell on the ground laughing. WHY, oh WHY, would they even have ventriloquist as an option on a college career assessment exam?? (Nothing against ventriloquists. I’m actually quite in awe of them.) But, come on!! Anyway, I finally decided on my previously-chosen major of English and actually graduated, though I had two babies by then. If I had not wasted any time, and trusted that I really did know myself well enough, and just chosen what I knew I loved, I would have been done literally two years earlier. I can throw my voice one hundred yards across the cul-de-sac when I call my kids in for dinner. When my kids are looking for me and I answer, “Yes!” from my bedroom upstairs, I hear them run downstairs to look for me in the basement, believing that my voice came from there instead. I can tell them to be quiet and stop beating each other up at church through still and smiling lips, and no one around us would even know. I hear my own words through the mouths of my children. Sometimes I’m mortified, sometimes I cry with joy. My thoughts are becoming their thoughts. My hopes their hopes. My happiness their happiness. My sadness their sadness. My worries their worries. My beliefs their beliefs. My attitude their attitude. My love their love. Last night at about 2 am, I sent in my last edits for my first book. As powerful as the relief was knowing that it was “complete,” I felt a strange loss that I wasn’t expecting. For the past two years and eight months, I have been thinking about my book. I started it on January 18, 2013 and since that first click of the first key, it has been on my mind. 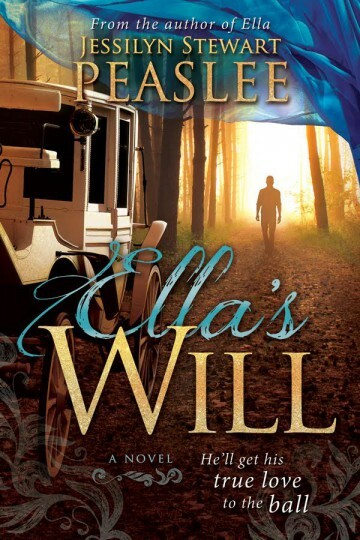 As I washed dishes, as I folded laundry, as I drove around running errands, I would be thinking about “Ella.” I would go through it in my mind over and over again, wondering if I had adequately explained what I meant, without actually saying what I meant. Was I clear without being obvious? Were my characters consistent, yet evolving? Did I use the right words? There were so many times that I would have to drop whatever I was doing, run to the computer and switch one word that felt out of place in my mind. And once it was changed to that perfect word, it was like I was coming up out of the water after holding my breath. There is always something that can be fixed or changed. That is the beauty and frustration of creating. The process of perfecting this little creation of mine is (or has been) never-ending. When Mr. Rochester asked Jane Eyre if she was satisfied with her paintings, she replied, “Far from it. I was tormented by the contrast between my idea and my handiwork: in each case I had imagined something which I was quite powerless to realise.” That is the frightening part: knowing what is good and knowing that my abilities, or lack thereof, might prevent me from creating something that I know is good. But, the beautiful part of creating something is knowing that this idea that began while I read a story to my little boy has evolved and taken on a life of its own, almost separate from me–though always connected to me. It is a part of me, though it has grown to be outside of my own mind and heart and will soon be a part of other people’s minds and hearts. That sharing of my creation is both humbling and terrifying. And that was what I felt last night. Even after I hit “send” and went to bed and tried to go to sleep, the butterflies in my stomach would not allow it. I realized that I could no longer be selfish with my little Ella. What began as a fun project became a journey I never could have dreamed of; a dream that came true before I even knew I dreamed it. I will miss my little late-night “conversations” with just Ella and me, while I sat at the computer or wrote my notes, watching her grow, and hoping that I grew right along with her. Crying when she cried. Cheering her on when everything fell apart. Knowing why she smiled, even if I didn’t always give a reason. “Ella” is being printed as I write this. She is coming to life, even as a part of me has to let go of just the dream of her. She is now a reality. A reality that I now get to share with everyone. And that is the beauty of it all. I was seventeen. It was summer. It was Southern California. It was hot. Super hot. I had spent my Saturday morning at a special class for really cool kids. Ok, it was traffic school. It was my second of two classes and I learned the week before that the teacher liked to keep the room at a frigid -2 degrees. Ok, it was more like 62 degrees. I had shivered for four long hours in my t-shirt and shorts, so this week I was prepared. I wore jeans and a huge, dark blue sweatshirt. My legs were sheathed in socks that went up to my knees, which may or may not have been my brother’s. My ensemble, or any ensemble for that matter, would not have been complete without my Doc Marten Mary Janes, which I fastened with care. I dried and straightened my hair so that it provided another layer of warmth and then, and only then, was I ready to learn. To be a learner of things. I drove home from my special class for really cool kids in good spirits. I had caught up with a few friends from days of yore, namely Jen Hanley who had gotten a ticket for unnecessary honking. Yeah, it’s a thing. We had laughed more than most people do at traffic school, I would assume, but I think it warmed our blood just enough for us to fight off the frostbite. I think everyone should get to go to traffic school at least once in their life. I drove in the fast lane doing 80, because I was seventeen, in my family’s gray beast of a Suburban. I had dutifully put five whole dollars of gas in only the day before, so you can imagine my shock when the Burban started sputtering and losing power. I clenched the steering wheel with my thawing fingers. This wasn’t the first time I had run out of gas–just my first time while on the freeway. I miraculously crossed through all the lanes of traffic, going about 15 mph, and the steering gave out as soon as I was safely parked on the shoulder. I sat there for a minute, then pried my shaking hands off the steering wheel–or Circle of Life, it could be called. I was about a mile and a half from my exit. The cars zoomed by me at what could only be described as California Speed. I looked around at the desolation all around me and saw only one option. I would have to walk. I opened the car door and the hot wind burned my face off. Clean off. I locked the door and felt a swoosh as a car sped by just feet from where I was. Oh sure, walking was a dumb idea, but I was seventeen. That was all I had. I found out later that walking on the freeway is, like, illegal or something. But I was coming home from traffic school. What the heck was I supposed to know about laws of the road and such?!? Now, imagine if you will. It is about 110 degrees outside and you’re driving along with your air conditioning blasting your eyeballs into ice and you see a girl walking along the freeway dressed for a Southern California winter. And if you’re from where I’m from and you’re a guy, the only logical thing to do is to roll down your window and hurl insults in the form of compliments (or compliments in the form of insults) at her. Yes, I saw many a dashing young gangster-wanna-be hanging out his window yelling things at me that made me blush, which only made me hotter, which only made me madder. The adults were kinder. They simply honked at me and looked at me like I was an idiot, and I was grateful. I kept my eyes focused on my Mary Janes–their gentle pit-pats offering a kind of solace in the arid heat of my humiliation. My poor bangs that had once been perfectly curled under were now plastered to my sticky forehead and my hair hung unforgivingly down my back and I was dismayed that I didn’t have one single scrunchie on my person. Once I reached the Automall, I knew I was getting close. I walked down the off-ramp, where humans are not meant to be and dashed across the busy street, my Mary Janes sticking to the asphalt and making a slurping sound with each step like I was walking in boiling mud. Somewhere along the way I had rolled up my sleeves. I’m sure that simple act may have prevented me from dying of heat stroke–having my forearms exposed and everything. I was so happy to be off the freeway until I realized I had at least another mile to my house. I barely remember that part of my trek. Perhaps it was because I didn’t have cars zipping by every few seconds to keep it life-threateningly interesting. But, I do remember walking up to my house. My dad was working in the garage and he looked up with an expression that said, “Um, you’re missing something.” Maybe it was the huge gray Suburban I was supposed to be riding in. Just a hunch. I told him what happened and I could tell he was battling amusement and bewilderment. He might have been angry if I had been the oldest, but since I was my parents’ fourth teenager, they probably would have been more surprised if I had arrived safely to the house driving the same car I had left in. He grabbed the gas can and we got in Red Ned Nissan–the Pathfinder I had almost totaled the year before. I’m an excellent driver, I promise. No, really. We got on the freeway, and what had taken me a good hour or two and about four-and-a-half gallons of sweat and shame, took us about five or ten minutes. We pulled up behind the Burban and Dad got out the gas can. As he was walking to fill ‘er up, he started laughing. About two feet away from where I was parked was a call box. Now, if you’ve never seen a call box, it’s a cute, friendly blue box placed about every mile or so along the freeway. This adorable box houses a handy little telephone. You simply pick up the phone and it automatically calls the police if you’re stranded, or you, say, have run out of gas, and they will quickly come to your aid. I had walked and sweated and been yelled at and honked at and had just felt plain old stupid on my long walk home. But it was nothing compared to the stupid I felt at that moment. Help had been waiting for me to see it; calling to me, if you will, and I had missed it. I learned a lesson that day that has stuck with me, which is why I’m writing about it now, an obscene eighteen years later. There are so many times in life where we’re stuck and we can see no other option than the most ridiculous, extravagant solution. Sometimes it’s stubbornness or pride or even inexperience that gets in our way, when if we would just look around us and remember the basics, help is only a phone call away. And when I say literally, I do mean literally. Except when I mean figuratively, such as when a phone could represent a friend, or a good piece of advice, or . . . you know what I mean. Pick up the phone!! You know the feeling. The dry lip feeling. You know you shouldn’t lick them because your dad told you while you were driving through Death Valley on a road trip that licking them just makes them worse. But you do it anyway (naturally) and a few minutes later you’re crying again from the back of your 1986 Dodge Caravan because your lips are stinging and you hope that your tears will offer better relief than your saliva. That dry lip feeling defined my freshman year of college. Not just because it was my first winter in Utah and the cold dryness (or dry coldness) sucked all the moisture out of me, but because I didn’t have 80-freaking-cents to buy a single tiny cylinder filled with magical relief. And I don’t mean Carmex, or Soft Lips, or even gobs of Vasaline that you try so hard not to swallow even though you know it’s futile. I mean chapstick. The perfect mixture of moisture and heaven, often with a touch of mint that makes you feel like you just brushed your teeth. That chapstick. I remember using my pinkie to dig out the last bits of waxiness off the inside of my chapstick tube. Then moving on to, yes, pencils and Q-Tips to get those last remnants out. Leave me alone! I was desperate! Then, I would try to sleep while trying to ignore that one dry spot that I just didn’t have enough chapstick to cover, and knowing that if I tried to spread it around, it would just create another dry spot. It makes me cry just thinking about it. I finally swallowed my pride and asked my roommate if I could use hers. After a few days of this, I could sense some hesitancy on her part. I could understand. Chapstick goes on lips, and it was weird, even though I wiped it off with a kleenex when I was done. Yes, I say kleenex. I don’t care what brand it is. Next, I moved to slathering my face lotion on my lips at bedtime. That was the low point. It would dry almost instantly and it tasted SO gross. I would put it on and then pray that sleep would come quickly before the dry sting kept me awake. And I would cry for my Mommy back at home with her ever-ready tube of chapstick nestled in her humongous Tic-Tac toting purse. I remember the day I finally scrounged up 80 cents to buy my very own tube of miraculousness. I ripped that Chapstick out of its wrapping with dry, cracked hands. Once it was free, the dang safety plasticy outer “shell” mocked me as my fingers slid around, trying to twist the cap off. I slid my thumbnail in the crevice and worked my way around, prying off the cap, which flew onto the floor. It didn’t matter. I would never need it again. I twisted the chapstick up, revealing its pink beauty, and raised it to my trembling lips, ignoring the sharp edge that cut my lips like a circular knife. Then, I whimpered. It hurt so bad. My lips were too chapped for chapstick. But, I persevered. I applied often and liberally, and soon, I could smile bloodlessly once again. I could sleep, knowing that with the rising of the sun in the morn’, my lips would would be greeted by the marvel of moisture, and with that moisture, peace and love and good grades. Now, I think of my dry-lipped journey every time I grab a stack of Chapstick at the check-out line. One for my nightstand, one for the junk drawer, one for the car, and one for my humongous Tic-Tac toting purse. It may seem extravagant for me to have so many sticks of this waxy bliss, when others have so few, but I promise, living without this luxury will only increase their appreciation for this seemingly insignificant marvel–Chapstick. It’s the simple things, folks. 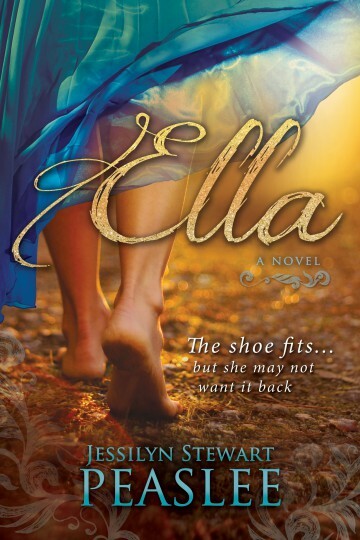 Official website of Jessilyn Stewart Peaslee, author of novel Ella. Ella is published by Cedar Fort, Inc.